Posted: Sun May 15, 2016 7:41 am Post subject: What're We Playing? Pokemon! What're Corey and Kelli playing today? 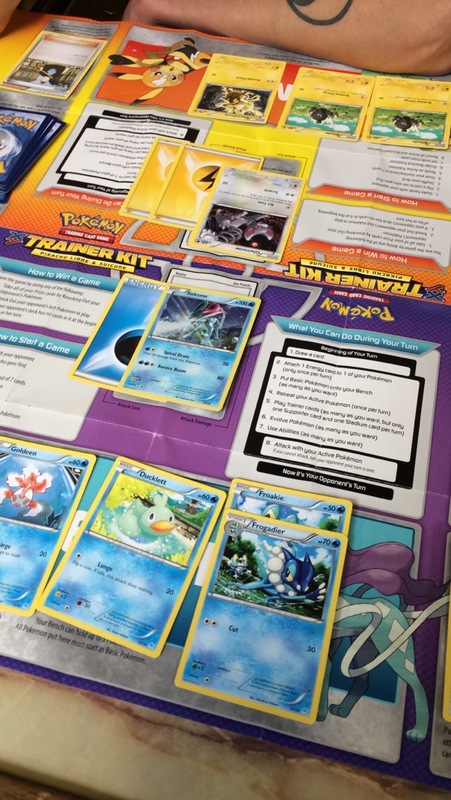 We're testing out the new Trainer Kit for Pokemon XY! Whether you're new to the Pokemon card game, an experienced official Gym Trainer, or just looking for something while you count down the days until Sun & Moon are released (187) this is a great card game for you! It's quick to learn, really fun to play, and a great nostalgia kick if you're like me and grew up with Pokemon! Check out these and our other kits today!